Strang was speaking today in Dublin. US DEFENCE LAWYER Dean Strang, who represented convicted Wisconsin murderer Steven Avery during his 2006, has said that he holds out hope that Avery will get a new court date. Avery’s case (and the case of his nephew Brendan Dassey) was made worlds famous by the 2014 Netflix documentary Making A Murderer. The pair were separately sentenced for the 2005 murder of Wisconsin photographer Teresa Halbach. The documentary series outlined numerous alleged flaws in the case against Avery and prompted demands for judicial review. Dassey had his conviction overturned last year, but remains in prison pending the resolution of an appeal from prosecutors. Speaking to reporters today in Dublin, Strang – who represented Steven Avery throughout his 2006 murder trial – said that he was hopeful new evidence could be discovered that would help Avery’s case. “There’s no question that Steven Avery’s current lawyers are talented and devoting enormous effort to securing newly discovered evidence, retesting, using the methods available in 2017 rather than just the methods available in 2006,” he said. I’m very hopeful that they will discover new evidence that really might have made a difference in the outcome and that they’ll be able to get him back into court. According to CNN, Avery lodged appeals alleging violations of due process rights in his prosecution last month. In relation to Dassey, Strang also said that his current lawyers were immensely capable. “Their results so far speak for themselves,” he said. The oral argument in the federal court of appeals is upcoming in 14 February and I know that Brendan Dassey’s lawyers will do as good or better a job than any lawyer in the country could do for their client. Strang was speaking after a speech he gave at the launch of the Bar of Ireland’s 2017 innocence scholarships. The scholarships are awarded each year to five barristers, who are sponsored to travel to the USA to work on Innocence Projects in different States. The Innocence Project is a USA litigation and public policy organisation dedicated to exonerating the wrongfully convicted. It does this primarily through DNA testing and reforming the criminal justice system in order to prevent future injustice. The Innocence Project has played a strong part in the case of Steven Avery. In his speech, Srang talked about the need to defend people in the criminal justice system at all costs. He said viewing people who may have committed crimes and were in need of defence as a “them” was wrong. Strang said that the majority of people had committed some sort of illegal activity in the lives. “There is no ‘us’ and there is no ‘them’,” said Strang. Strang also defended the Making a Murderer filmmakers against criticism that they edited the footage of Avery’s case to look favourably on him. “I think the editorial decisions that the filmmakers made were reasonable,” he said. “Given the mass of material they had distilling it required editorial judgement and I think that judgement was fair. I think that the criticism has been misplaced in the main. The filmmakers gave more than 3 hours to actual footage of one trial. Anybody who’s not satisfied with that length of treatment… should go make his or her own movie. Email “Dean Strang on Steven Avery: 'I'm very hopeful that they will discover new evidence and get him back in court'”. 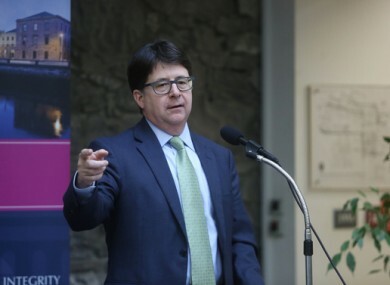 Feedback on “Dean Strang on Steven Avery: 'I'm very hopeful that they will discover new evidence and get him back in court'”.